Have you heard about Pizzamatic? Take an equipment company. Add a strong German deep-freeze pizza brand. Let it cook for years. Et voila! 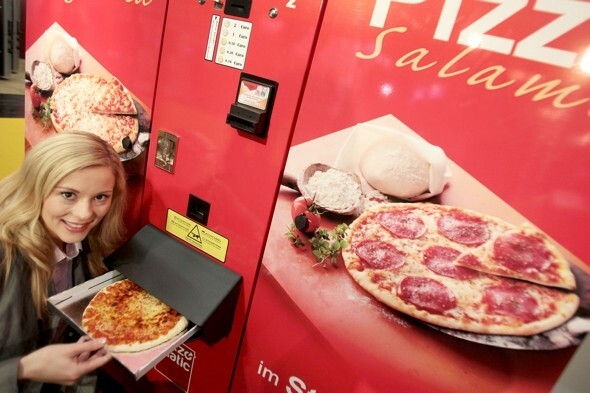 You get an automatic Dr Oetker pizza machine. My Italian ancestors would certainly be turning themselves in their graves, if they knew that! But still, it’s interesting from an innovation standpoint. You were drinking coffee from a machine, so why not eating pizza similarly? I have not tried it, but hopefully after five years technical development and two years market testing, the technology should work. In any case, they seem to have many ingredients for a success recipe! What if part of your innovation journey was to go back to the future? More Innovation best practices sharing to come in 2014!